Did you hear the news? 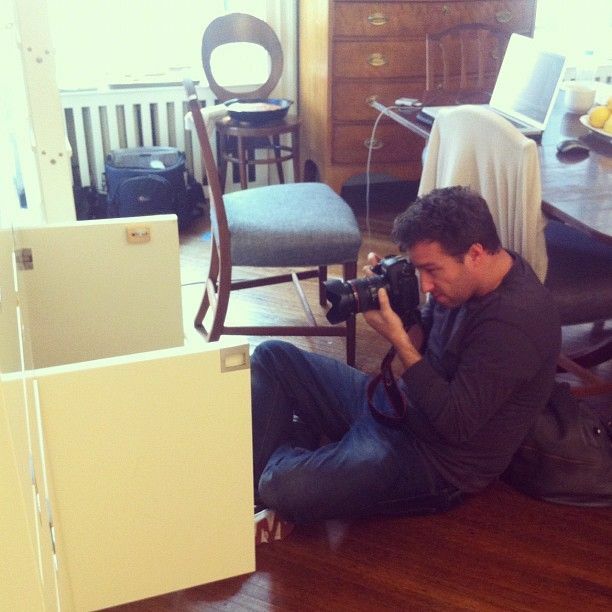 Food52 has a brand new office and we can't wait to share it with you—check back for the full tour tomorrow! Today: Before the big office reveal, join us for a skip down Memory Lane, as we recap all the places we've called home through the years. Might want to pack a snack. 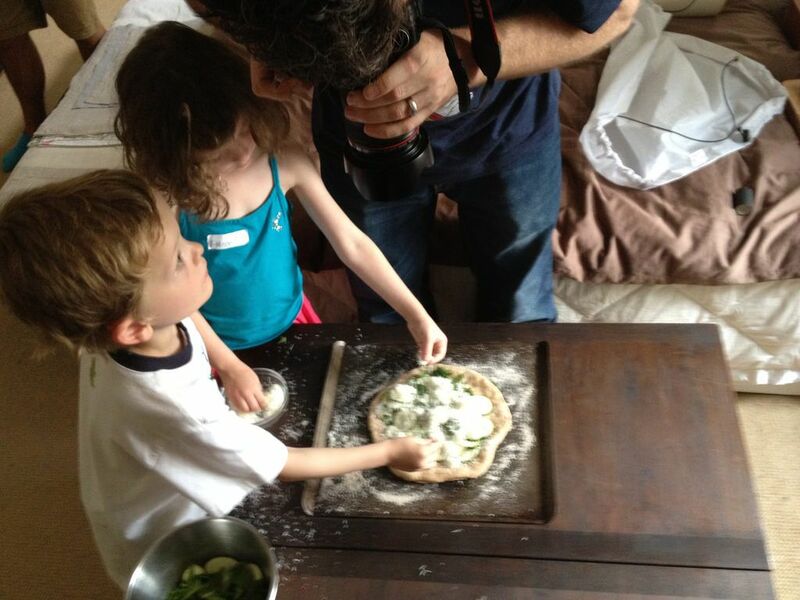 It was early in the summer of 2009 that the very first posts, recipes, and contests began popping up on Food52. (Do you remember?!) 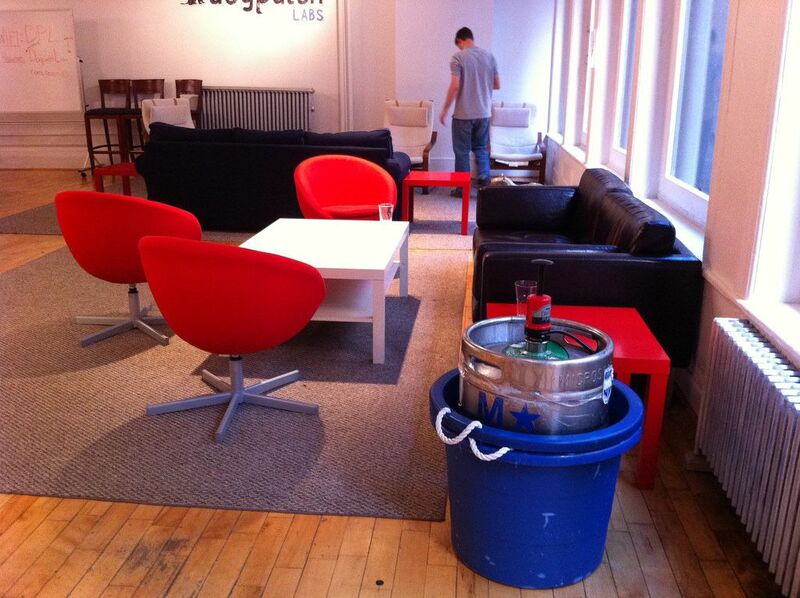 We were a tiny team back then, and looking through all the pictures of our old offices has been the best reminder of how we've truly grown inch by inch. It also brought back a lot of good memories. 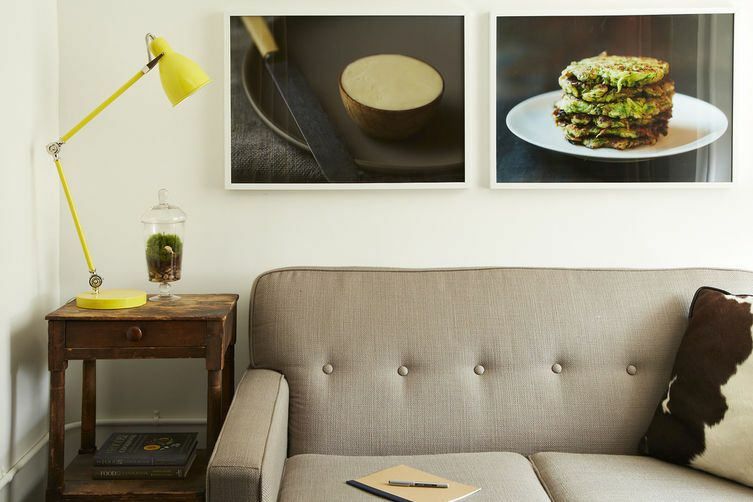 Read on for a look at all the places Food52 has called home. Where do you start a start-up? At home. 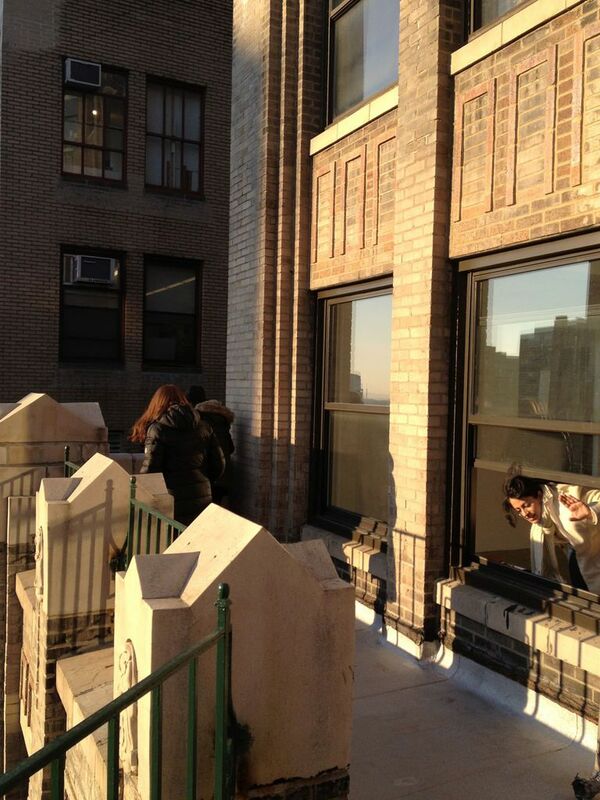 In the beginning, there was the windowsill photoshoot. 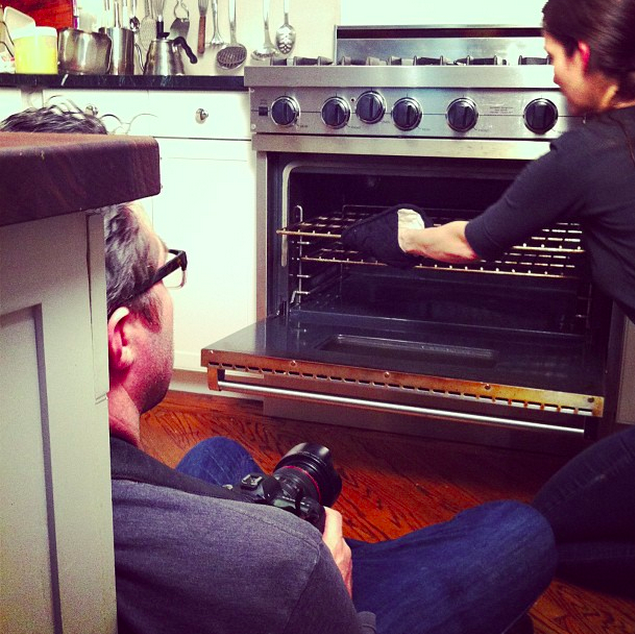 It started in a real kitchen (Amanda Hesser's, then decked out in cherry wood cabinets), where our first photographer, Sarah Shatz, would have jerry-rigged a few lights and taken process shots. After that, the finished dish was carefully plated and styled on a surface right by the window so it could be photographed in natural light. Our visual style was born and it's been evolving ever since. Left: Amanda and Merrill Stubbs style Barbacoa Beef Cheek Tacos (recognize them? ); right: There are ways to make do even when the sun goes down. 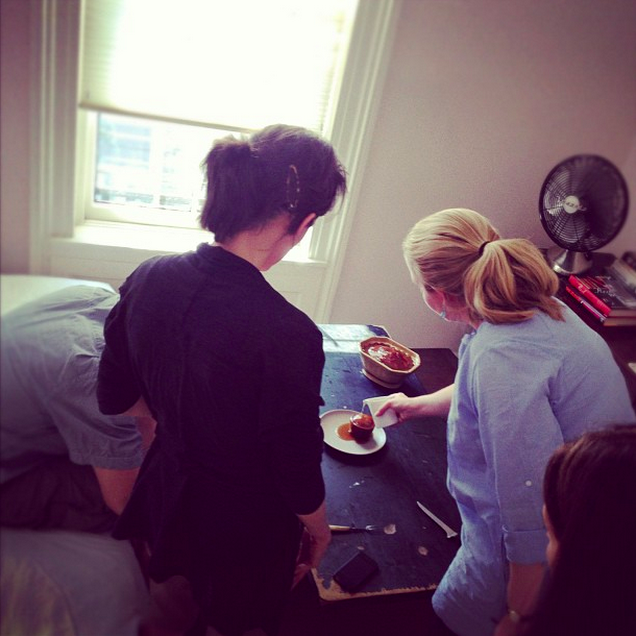 We didn't limit our photoshoots to the windowsill, instead taking the liberty of perching food in all kinds of places in Amanda's home. 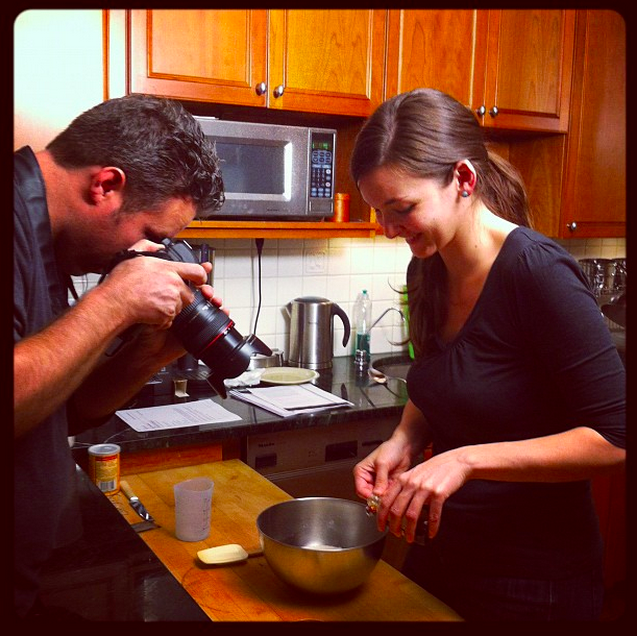 Left: James Ransom, glued to the viewfinder of his camera; right: Kristen Miglore, our first official hire and now our Executive Editor, plays chef in Amanda's kitchen. Unfortunately for Amanda and her husband, some of the best light was in their bedroom. Her kids, Addison and Walker, didn't seem to mind. 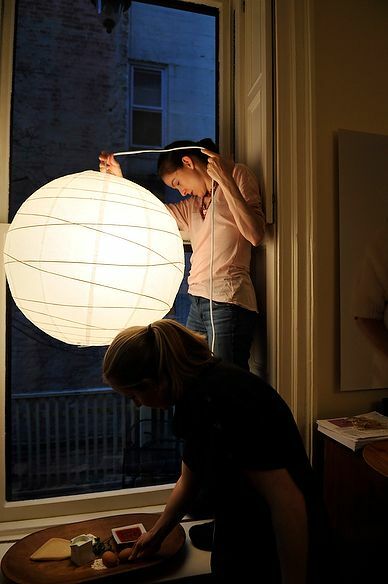 The same went for Merrill's daughter, Clara, shown here taking center stage at a photo shoot in Amanda's bedroom. 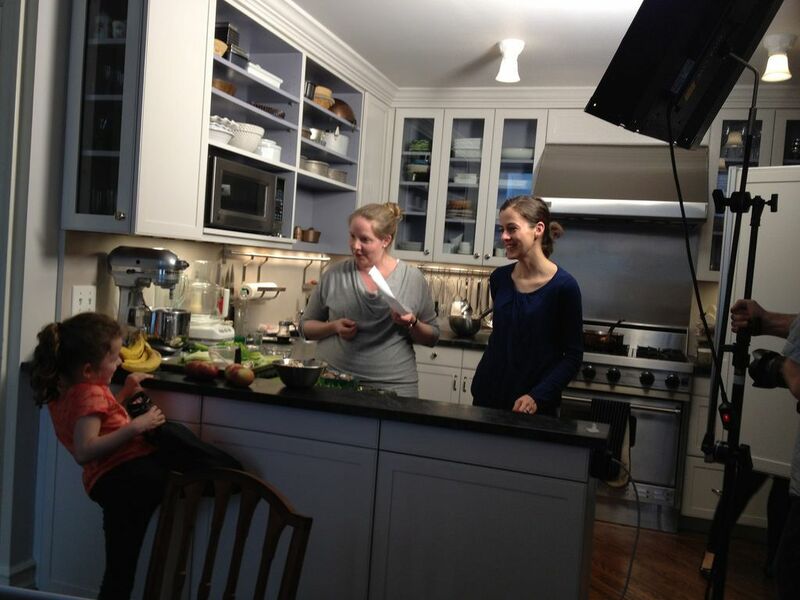 Many of our early recipes were shot right there in Amanda's bedroom. 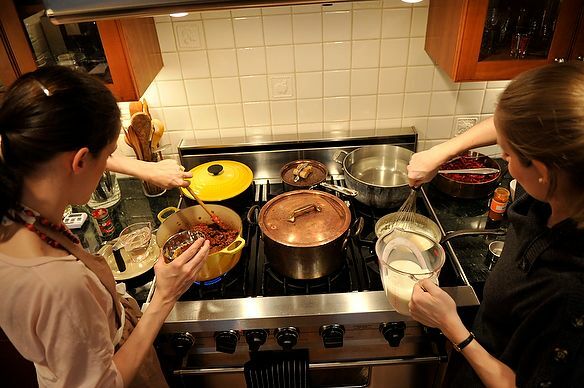 From left: Kristen in her signature topknot making Alice Medrich's Genius Macaroons, Merrill drizzling toffee on a sticky toffee pudding for our style-off during the Summer Food Fights, and Kristen vaccuming up lentils from the very first Dinner vs. Child post. 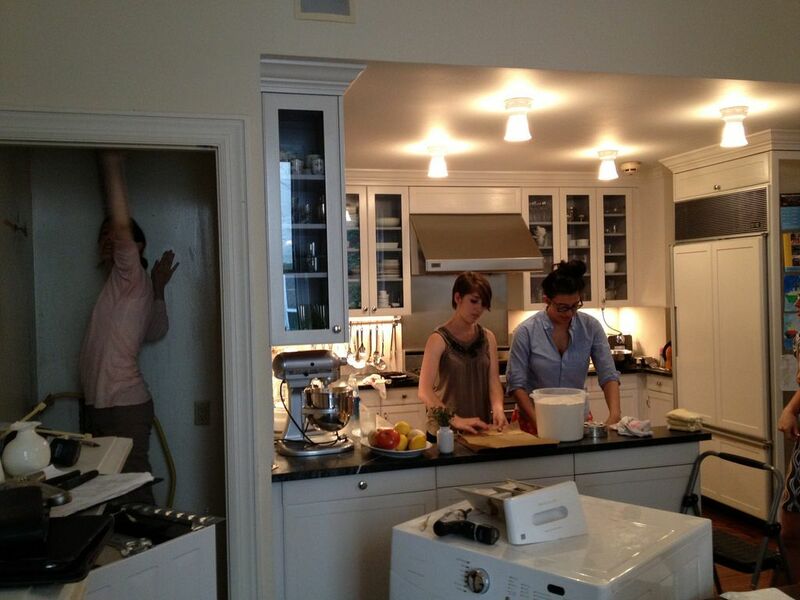 Even after Amanda renovated her kitchen and Walker and Addie grew a few inches, some things never changed. Cherry wood was replaced with gleaming white open shelves and cool blue-grey interiors; the kitchen was much brighter, which made it easier to get well-lit process (and glamour) shots no matter what was happening behind the scenes. Kenzi Wilbur, our Managing Editor, is pictured here working on a dough of some sort while Amanda's washer and dryer are repaired—the show goes on! 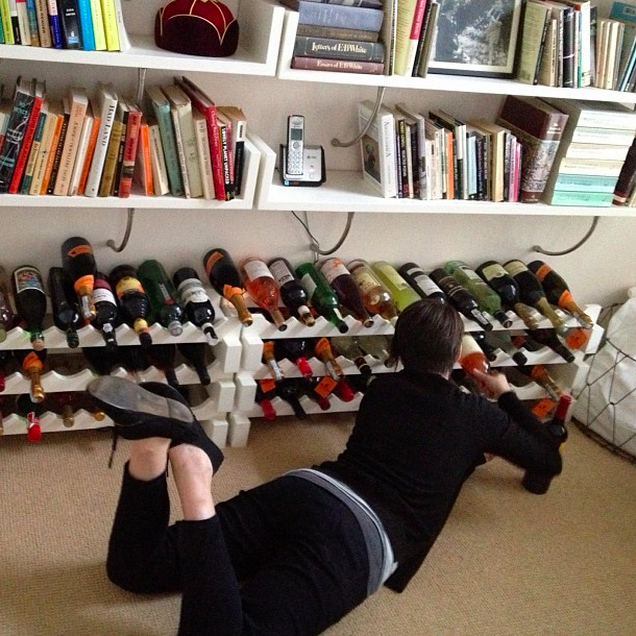 We took it upon ourselves to explore some other parts of the house. 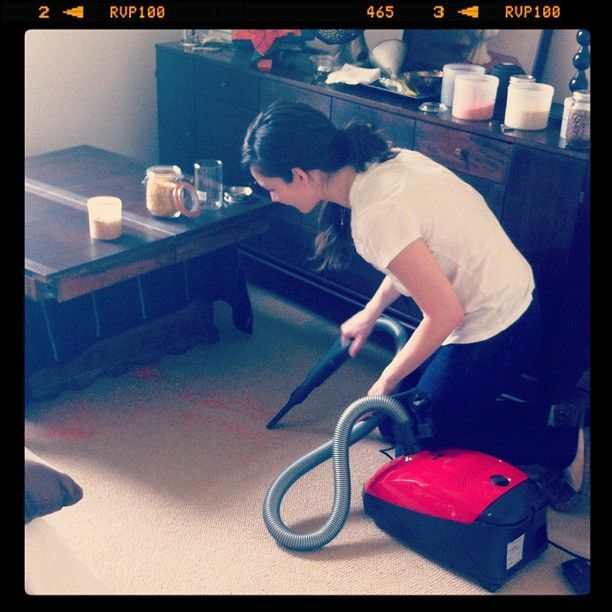 That's Kenzi sniffing out a good wine from Amanda's collection (housed in her bedroom), a roast chicken getting some work done on Amanda's desk, and James, ever camera-ready, at the oven. 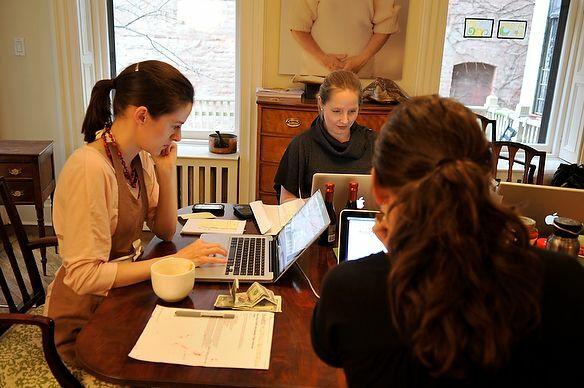 The dining room, adjacent to the kitchen, was unofficially taken over as desk space—much to the likely dismay (but great patience) of Amanda's family. The tripe lady, a team mascot of sorts—a photo by Pinar Yolacan of a woman whose shirt sleeves are made of tripe—watched over us all the while. 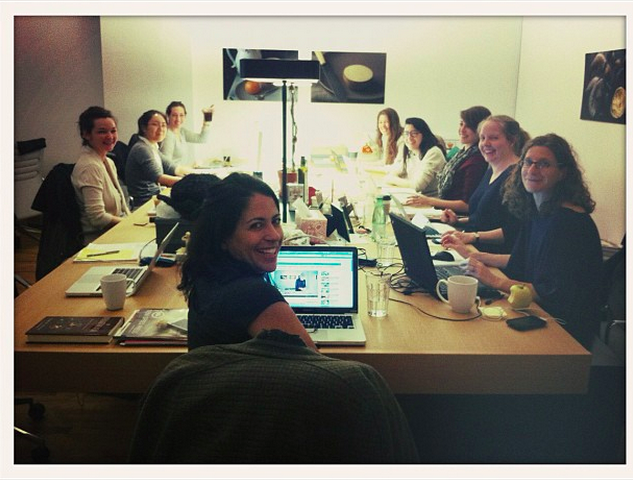 Fun fact: Food52 was the first team to work at Dogpatch whose lot included women. In September of 2010, our team was invited to work at Dogpatch Labs, a co-working space run by Polaris Ventures—a huge step in our company growth, since this meant six months of free work space. As Amanda remembers it, Dogpatch had a "1990s downtown loft feel—black leather sofas, splashes of red, wood floors, brick walls, an industrial-style kitchen, and black toilets that we could never quite adjust to (and the occasional beer keg—see above)". 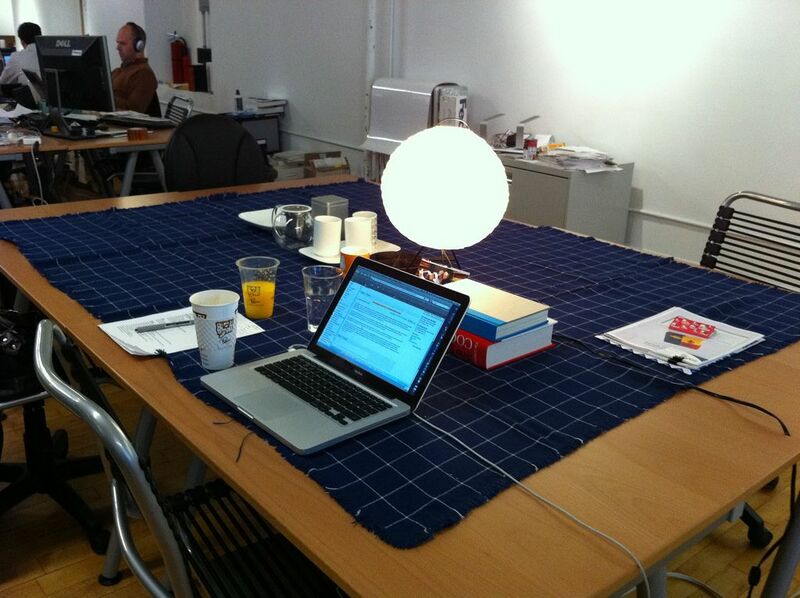 To make it feel homier, we spread a blue windowpane blanket across our table, topped it with a real lamp (with a real lightbulb! 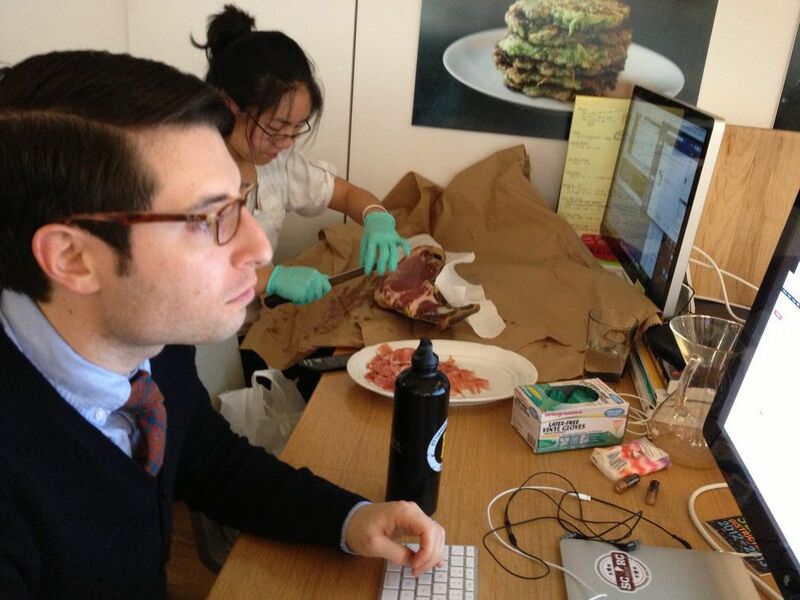 ), pictured below, and set to work. 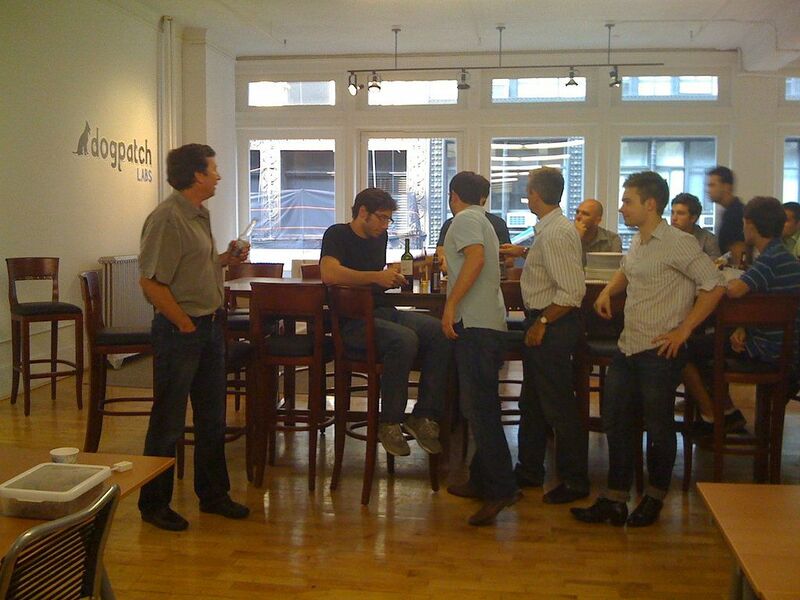 At Dogpatch, we spent a lot of time networking with fellow start-ups in the common spaces and at their tech events. 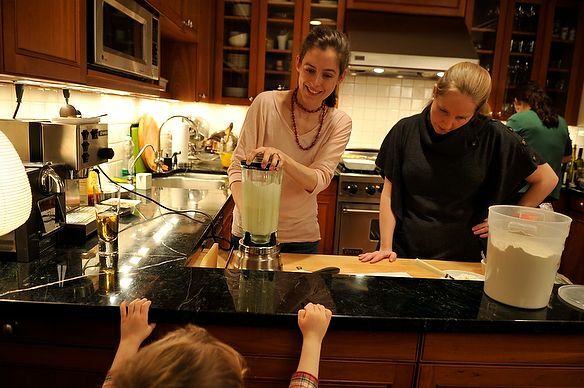 We met Christina DiLaura (now our VP of Commerce Operations), Bridget Williams (Food52's COO), and two of our investors during our six months there. 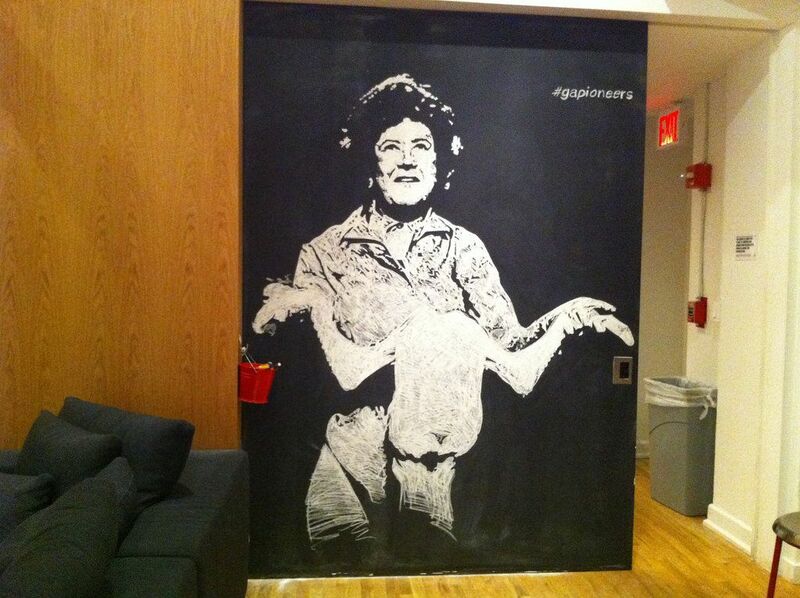 A Julia Child chalk drawing covered one of the walls at General Assembly. 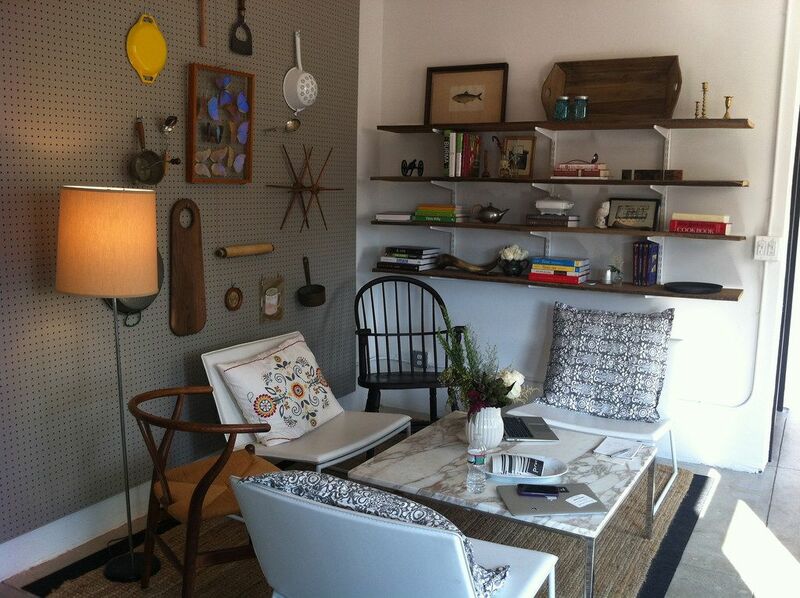 After our stint at Dogpatch, we moved on to General Assembly in January of 2011, where we stayed for 2 years. Our first workspace there was an office that was vacated when its prior tenant was raided by federal agents. The space was quiet and "a little Being John Malkovich-y," according to Amanda. In order to have a meeting, we just swiveled our chairs around to face the center of our M-shaped desk. 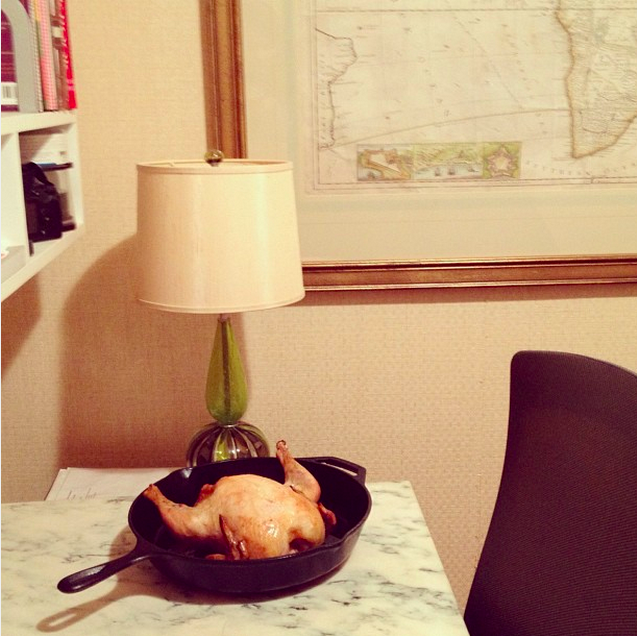 And this office is where Genius Recipes was born! 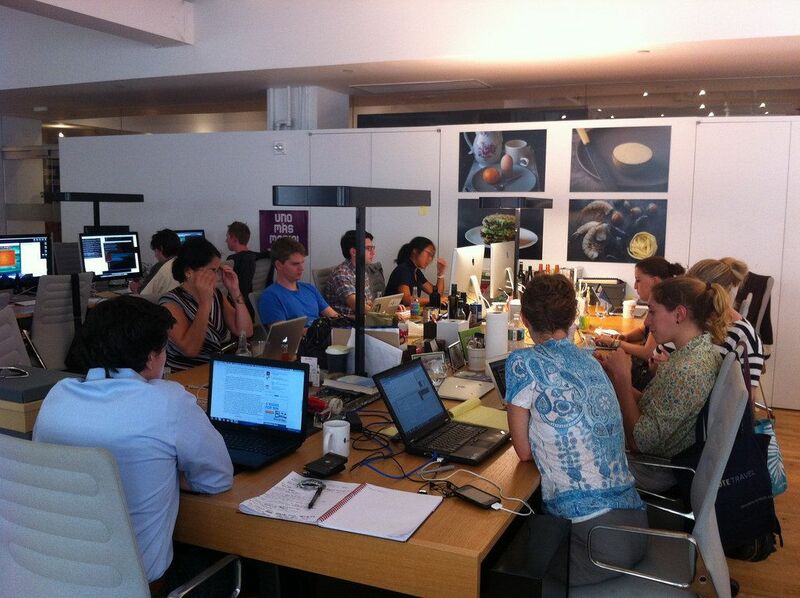 The shared space also had conference and event rooms for meetings, which we took full advantage of. 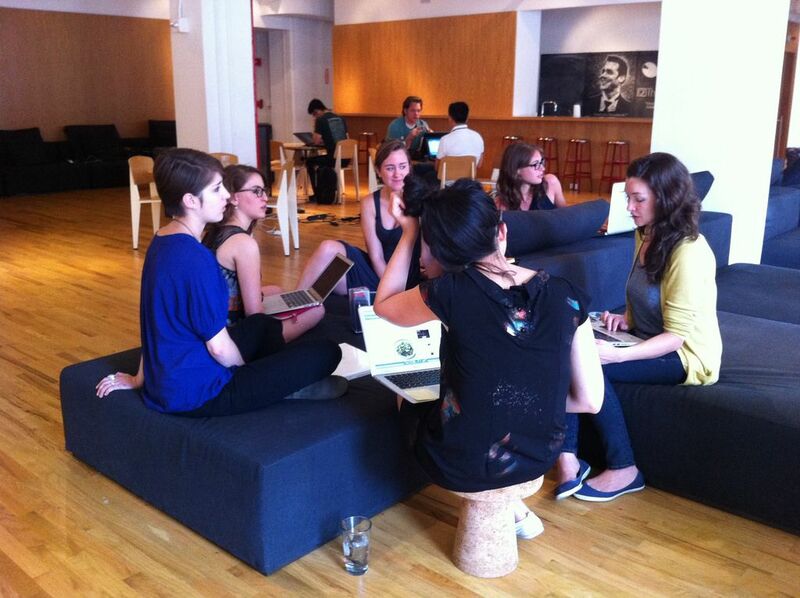 An editorial meeting takes place on the community couches. 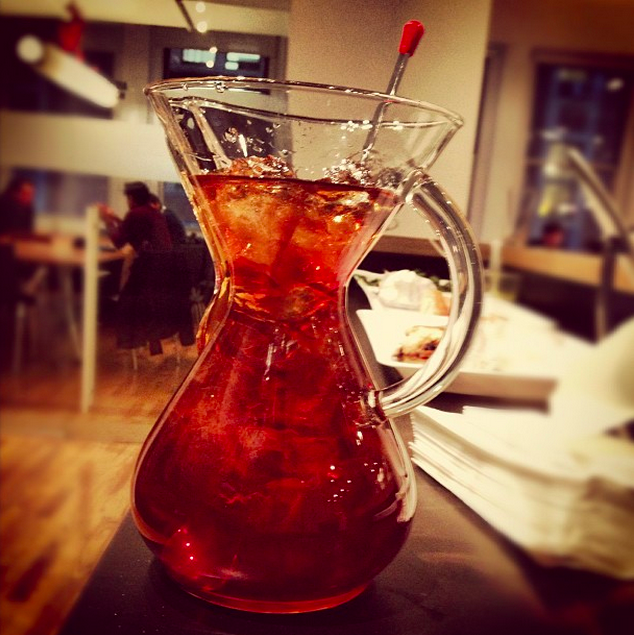 We used the conference rooms at GA for meetings of all kinds, including the ones involving liquid cheer. 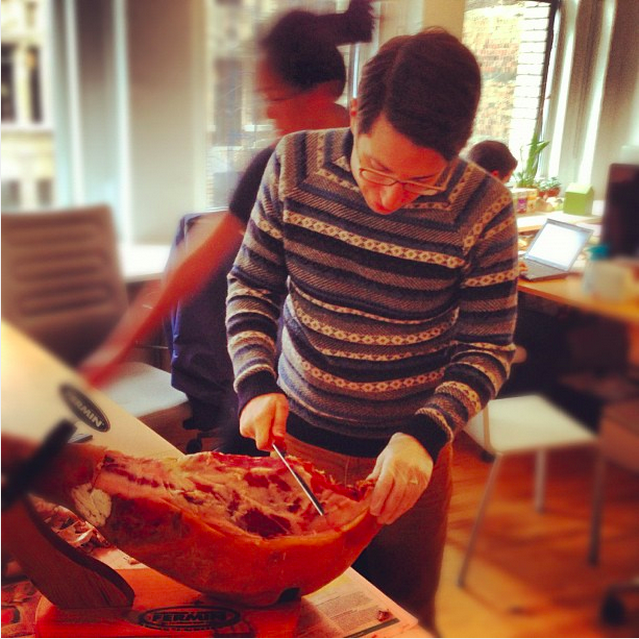 Our third annual Piglet party took place at General Assembly. 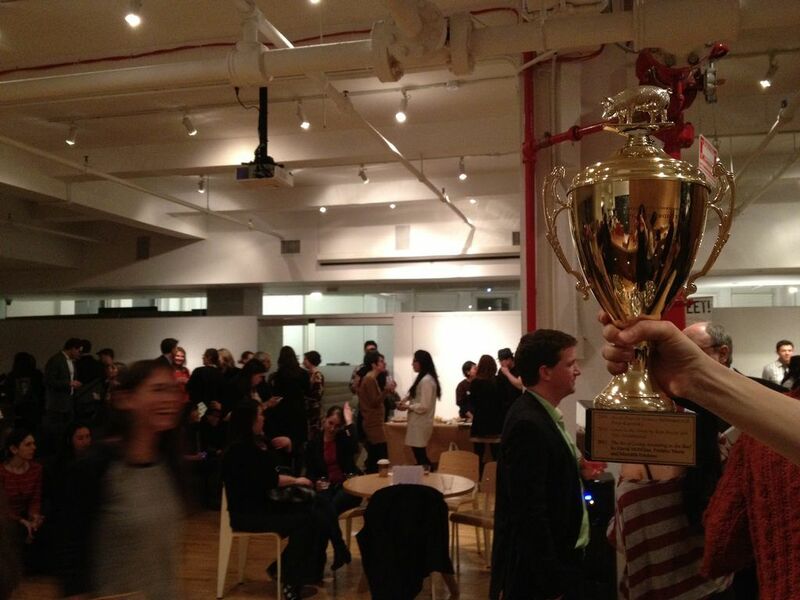 Joe Beef was the winner, as determined by Alice Waters. There were also unusual yet inviting, tall-walled "sofa pods" (see below), used for meetings, naps, quiet work, and, as Amanda remembers, "hanky panky by some other start-ups." 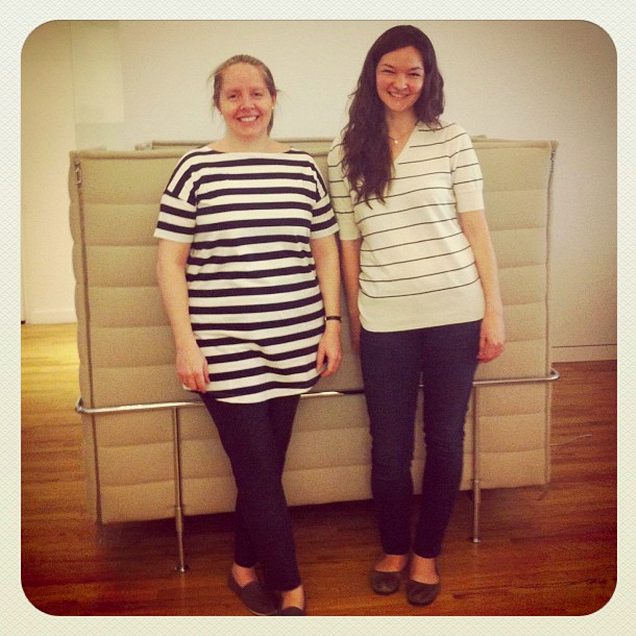 Black, greys, and stripes were our unofficial uniform during those years. 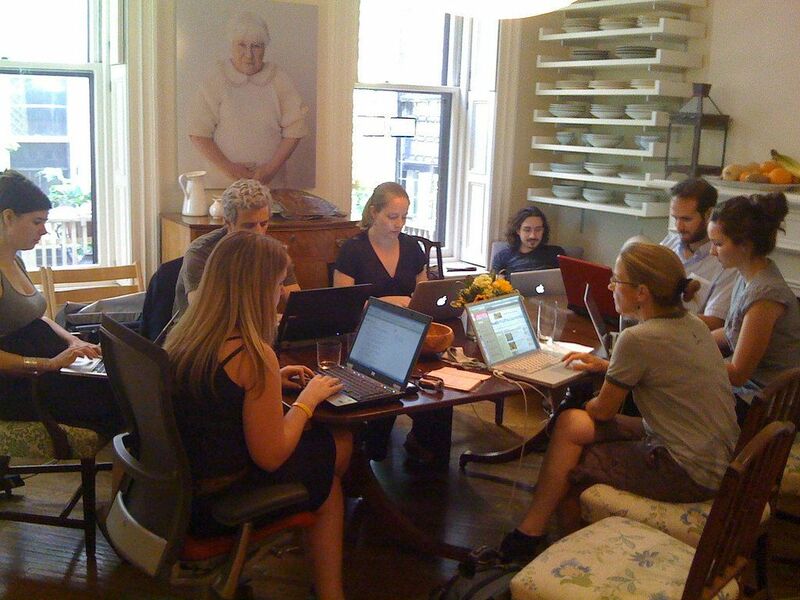 Eventually, we moved from our tucked-away upstairs office to sit with the regular population. There, we were seated next to what Amanda describes as a "rowdy gambling company, who spent a lot of time flirting with Brette Warshaw, now Digital Editor at Lucky Peach—she barely looked up from her screen." These were formative years—we grew to a dozen employees during our time at General Assembly, including Michael Hoffman, Karl Rosaen, Ryan Hamilton, Lauren Locke, and Kenzi Wilbur. And we fought off sad desk lunches with ham (sometimes whole legs of Iberico), snacks, cake, and cocktails in our trusty Chemex. And we made it feel as much as possible like a home. 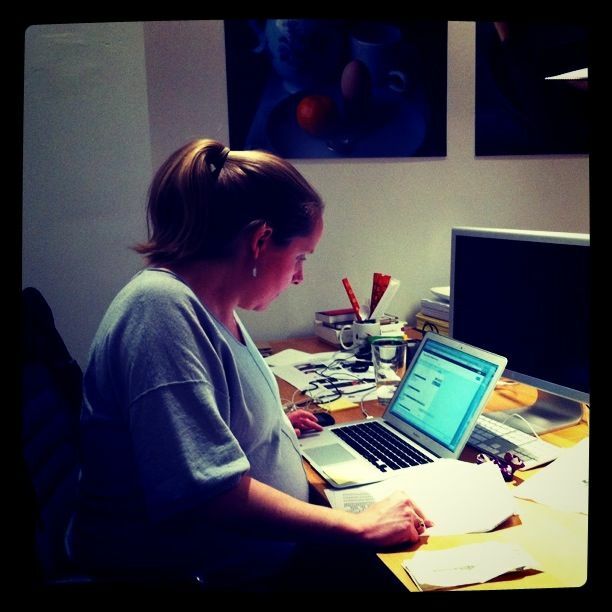 Left: Decor included large prints of Sarah's photography; right: Merrill, 8 1/2 months pregnant, was still working at 11pm the night before we relaunched the site. During our time at General Assembly, Merrill met Brad Sherman, the eventual designer of our future offices, rather fortuitously. He was working there as an office manager and when she cut her finger and asked him for a Band-Aid, Brad mentioned he was an interior designer, specializing in office spaces. 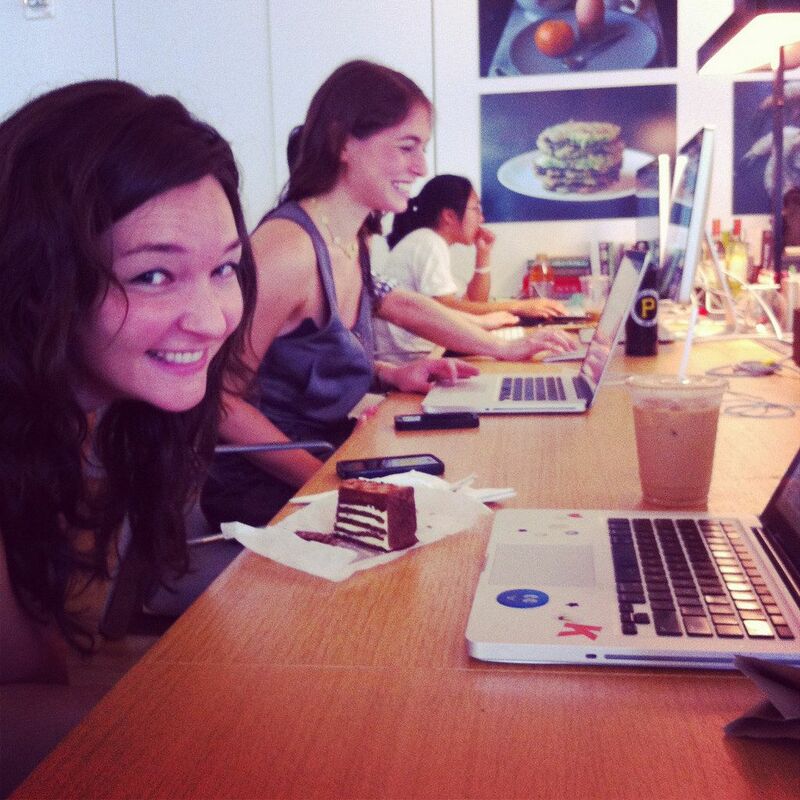 It didn't take long for Food52 office plans to get underway. 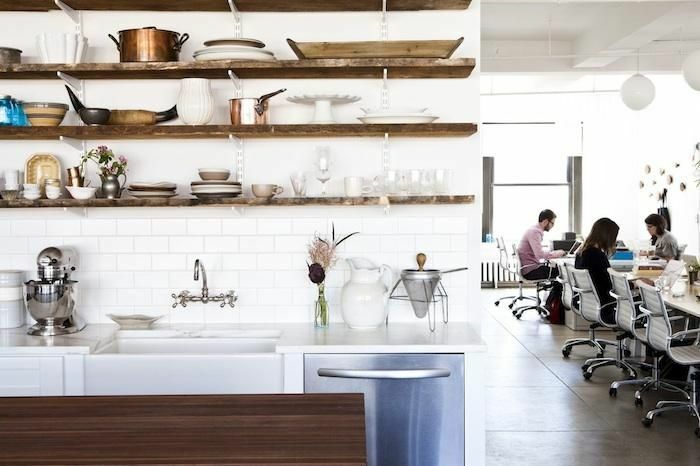 From General Assembly, our team landed half the floor of an office building on 30th Street in Chelsea (well, very north Chelsea, but more like Penn Station adjacent), where Brad installed the now-iconic raw wood shelves, salvaged from a barn in Kentucky, above a backsplash of gleaming white subway tile in the kitchen. We like a kitchen that feels personal and practical. 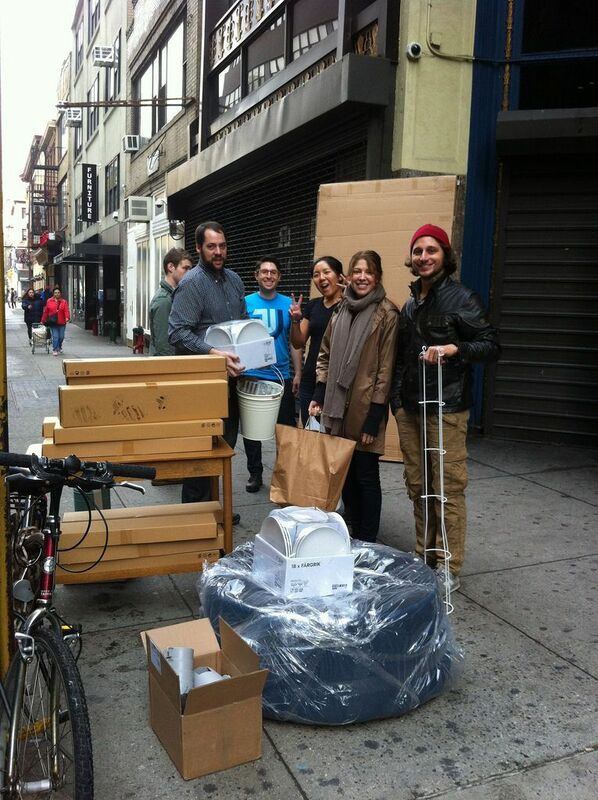 It was time: "We moved our entire "office" with a Zipcar minivan—in one trip!," Amanda said. Left: Ryan Hamilton and company help Brad (in the red hat) with the move; right: Kenzi, Kristen, and Marian Bull worked on the floor in our new office before we got desk chairs. 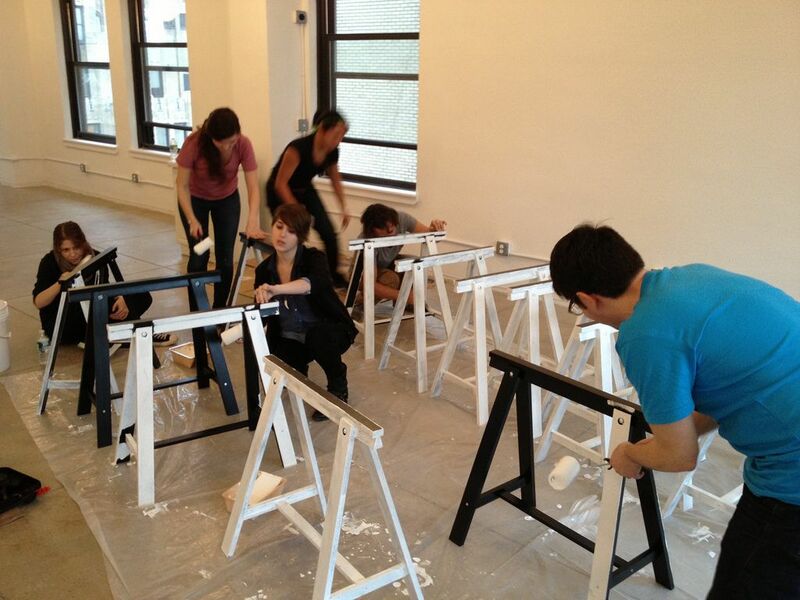 Everyone chipped in to paint our IKEA sawhorse table legs a nice, crisp white, and then to assemble them. We enjoyed the luxury of a small outdoor patio (accessed through a window), plus a little extra room to store all kinds of surfaces for photography and props—many of which came straight from Amanda's kitchen to ours on loan. 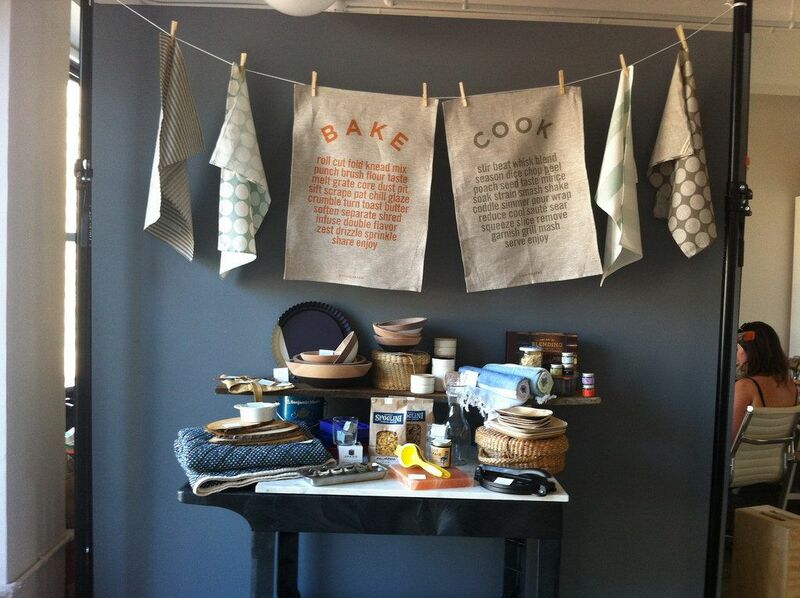 We finally got to decorate our own space—including the kitchen of our dreams. 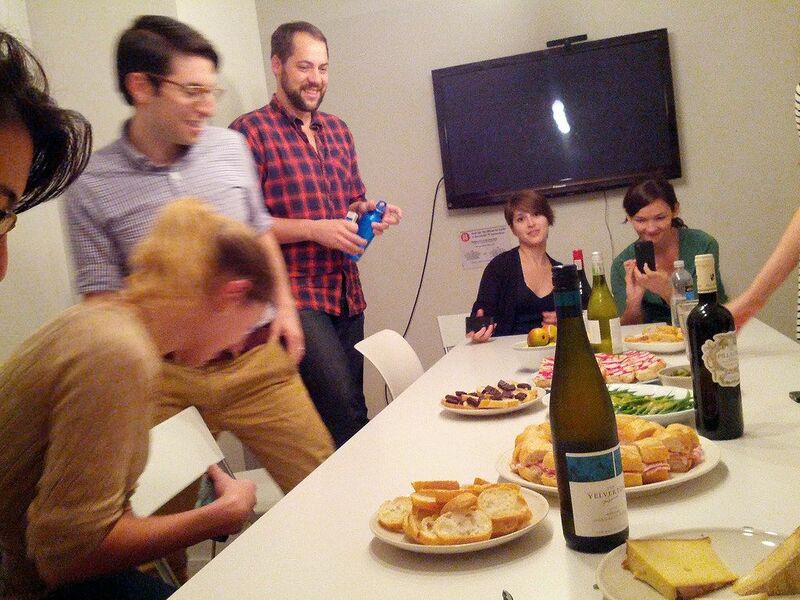 Company Snack Time, where we gather as a whole team over food and drinks every month or so, flourished at the West 30th Street office. Our little coffee table corner had a peg-board wall decorated with old kitchen tools—in honor of Julia Child—and shelves holding some of our favorite cookbooks and gizmos. 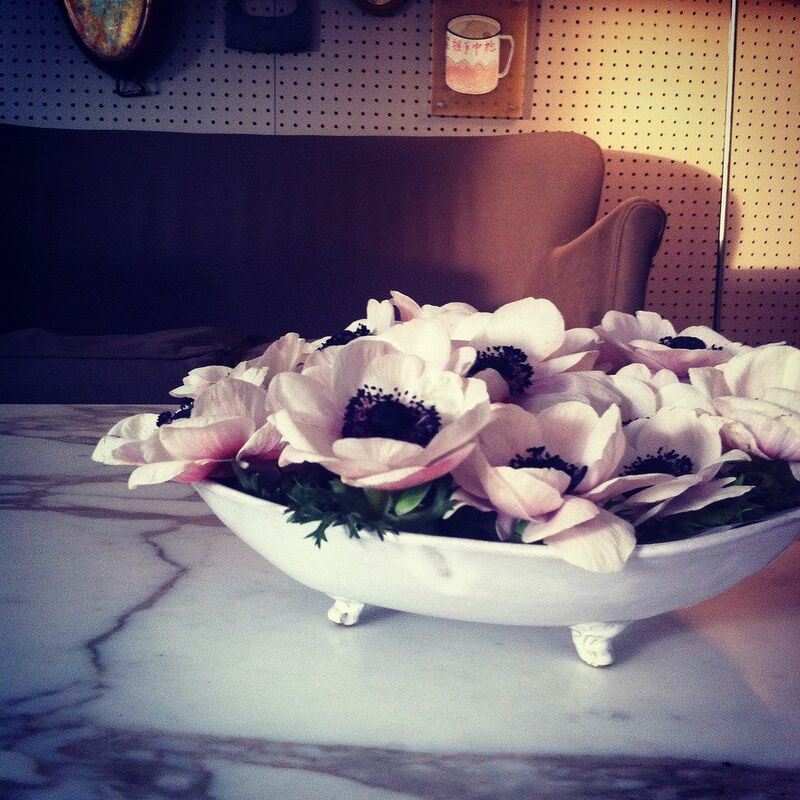 Decorating this space, we quickly recognized in ourselves a fondness for combining old and new. 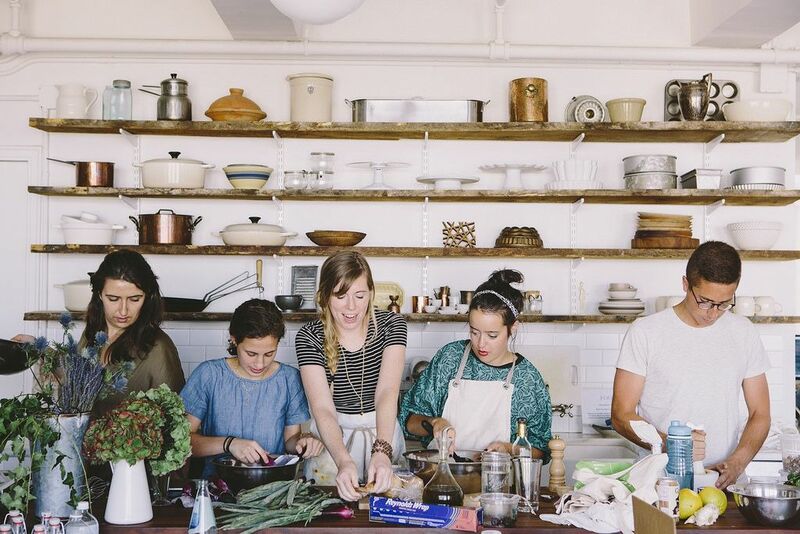 From the office at West 30th Street, we launched our e-commerce site called the Food52 Shop—though back then, as you might recall, it was named Provisions. 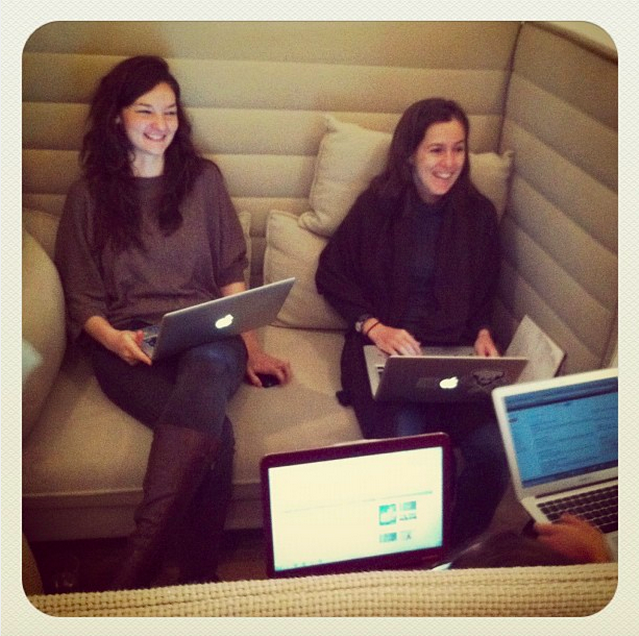 At first, the office felt so roomy we couldn't believe it. 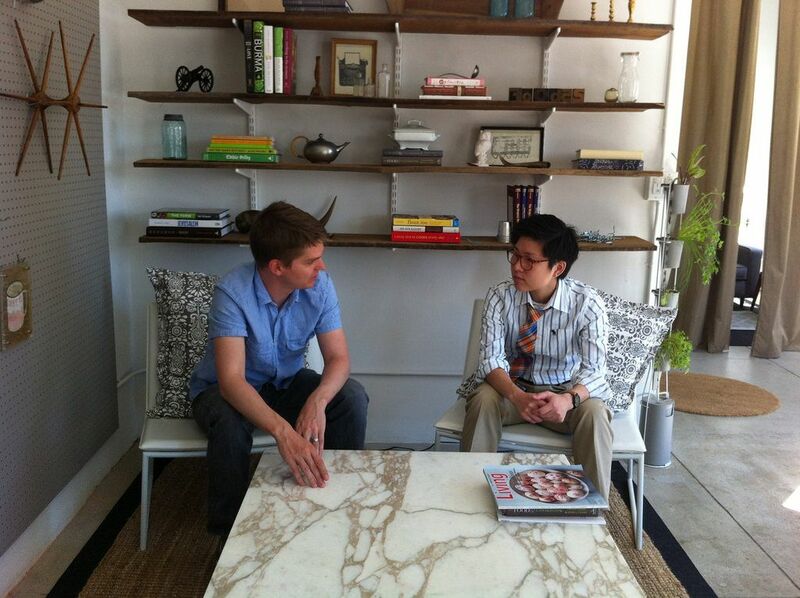 Karl Rosaen, our VP of Product, conducts a meeting in the coffee table nook. But we grew up pretty fast. Okay, maybe a little faster than we'd planned for. 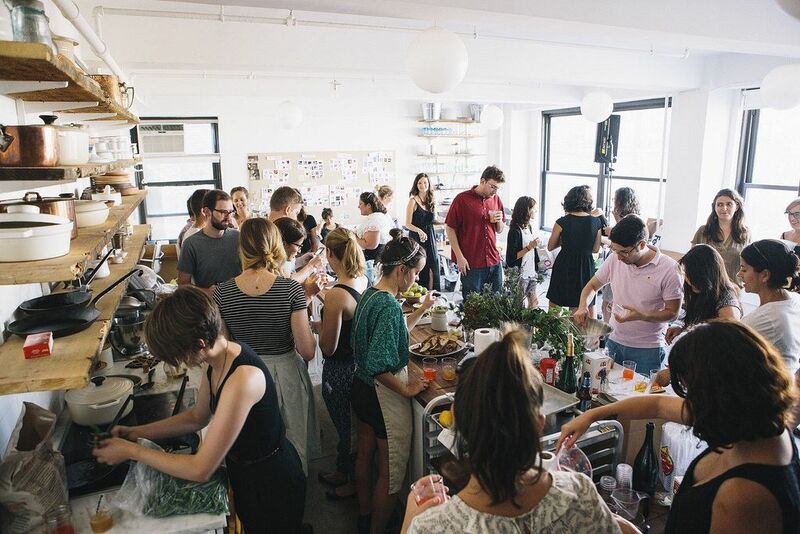 In our office at West 30th Street, Food52 grew to nearly 40 employees—a few more than we'd ever expected to house there. 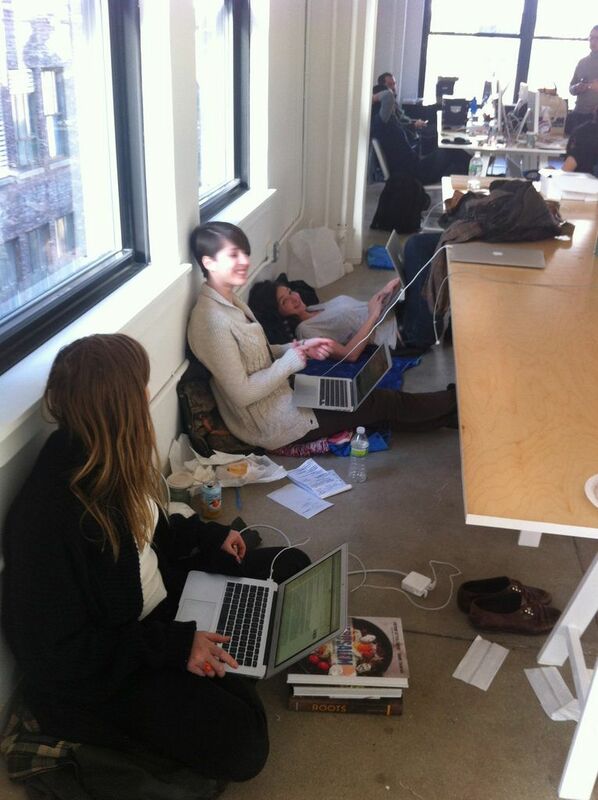 For the last few months in this office, we were packed in like sardines. It's a good thing we like each other's company! Left: As we started to run out of room, the Product Team resorted to having meetings in the studio and sitting on James's apple boxes! 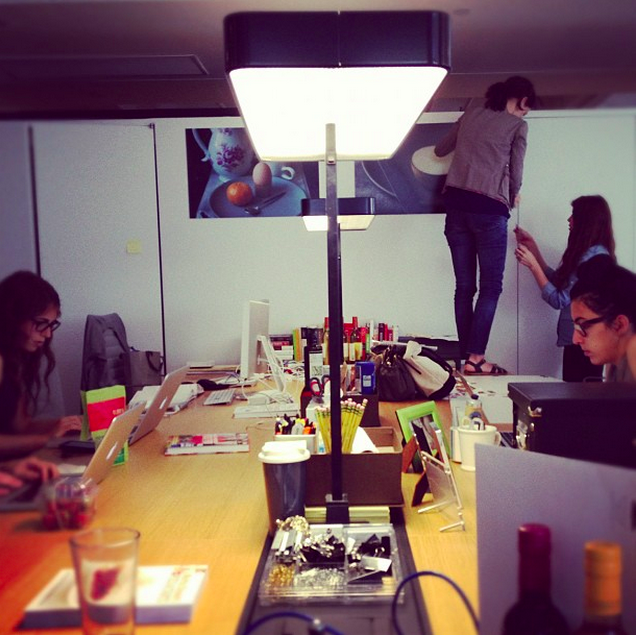 Right: Through it all, we found ways to make sure the office felt cozy rather than cramped. 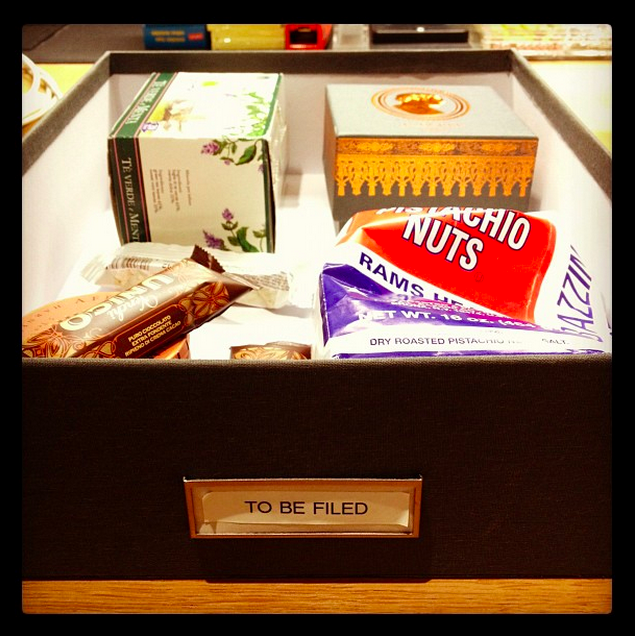 Now, we're a little over 50—and the new, larger office on West 26th Street has been a revelation for the team. Looking back, we wouldn't have gotten here any other way. Don't forget to check back tomorrow for a photo tour of the new office! 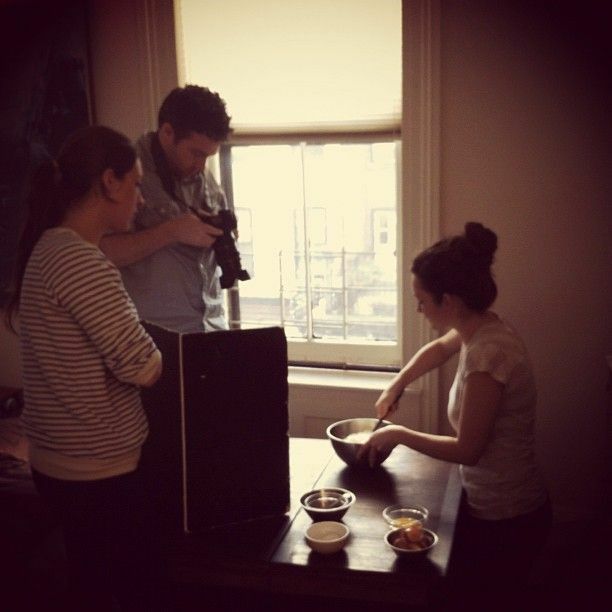 I love this sneek inside the helm of Food 52 and the story the photos tell of your evolution as a company. As someone just starting their own food business from home, struggling with window sill photo shoots and more recently alfresco shots since we've had scaffolding up. this is so inspiring and fantastic to see how you got started from humble beginnings too! Thanks for the behind-the-scenes look. Very interesting! SO MANY MEMORIES. What an amazing bunch of people. Wow. Thanks for the generous look back down memory lane. It made me wish I could have worked at any one of those places. Lovely. 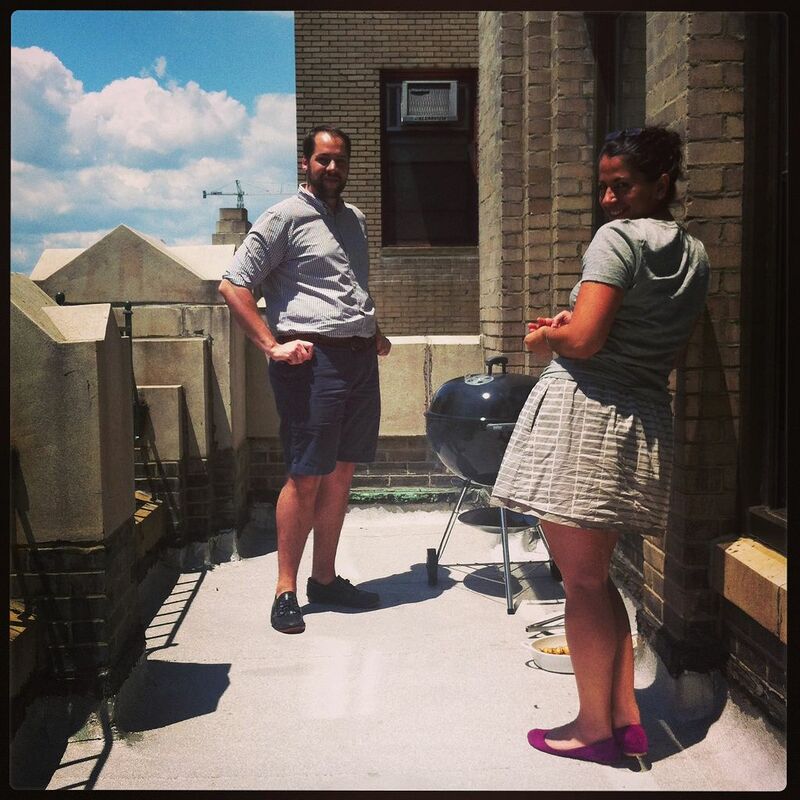 I agree with nzle - so many great memories -- especially back in Amanda's house in Brooklyn. Special times!! Ahh, so many memories! I love these photos -- many of the ones I'm in I'd never seen before!